Creating innovative solutions should not to be a complex task. Design Thinking offers a new way of thinking about problem solving, allowing the connection between technological feasibility and the generation of value for both, the client and the business. This methodology challenges us to deliver results that meet the real demands of the user in accordance with the company ‘s objectives. When applied, it can significantly change people, processes and systems in a positive way. What makes Design Thinking so efficient is its human-centered approach. Through a structured process that leads you through several different stages, such as immersion, ideation and prototyping, this method can help companies create a culture of innovation, engage its teams, develop assertive projects and have better value for the creation of its product/service. Design Thinking is an approach to solving complex problems by putting the user at the center of the process. The goal is to develop useful solutions that meet the expectations and needs of those who will benefit from the proposed solution. This approach brings the company closer to the user, enabling them to understand their frustrations and find out how they can make the customer’s experience more satisfying when using their products or services. By creating a multidisciplinary team, it is possible to leave your comfort zone to absorb new experiences, knowledge and skills from other areas, which are essential when seeking a wider perspective of the project. One of the key principles of Design Thinking is empathy. This concept requires you to understand and identify the needs and challenges faced by people when dealing with the product of service being offered. The goal is to propose improvements from the comprehension of the experience and the motivations of the end user. During the prototyping stage, tests with the target audience are carried out before implementing the final version of a solution, and this significantly reduces rework, saving time, money and resources. As a methodology centered around user experience, the ultimate goal is tangible and significant to the market. 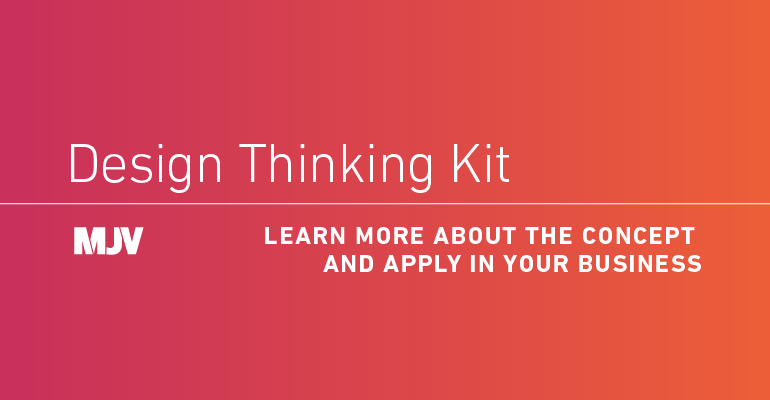 By seeking solutions to real problems faced by a target audience, Design Thinking is able to bring the company closer to the consumer, refining and meeting specific and real expectations.